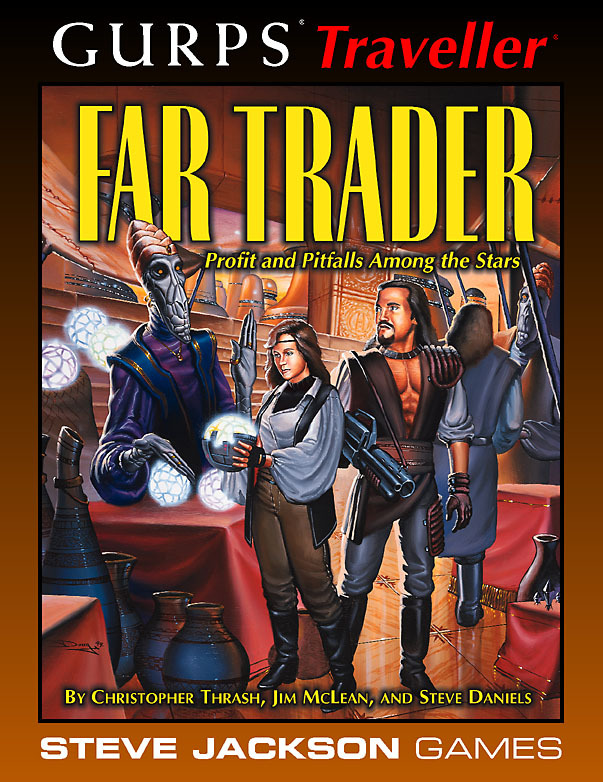 There's a fortune to be made among the stars – for the intrepid merchant with business savvy, a suspicious mind, and more than a little luck. 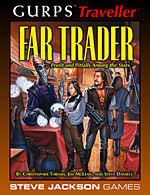 Be prepared to meet some of the worst characters in the universe – just pray they're not your business partners! And remember, "cutthroat competition" isn't just a colorful catch phrase . . .
GURPS Traveller: First In – Beyond the borders of the Third Imperium, the Interstellar Scout Service seeks out strange new worlds! A Scout has to be ready for anything . . . or die. GURPS Traveller: Starships – In addition to rules for designing and rating your own spaceships (at both TL9 and TL10), this book contains over 35 pre-designed craft, ranging from 10-ton fighters to 500,000-ton dreadnoughts, described in detail and ready for use in a campaign.